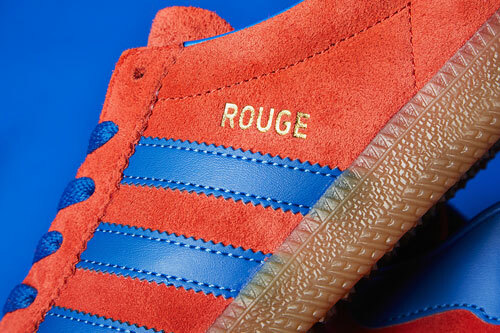 The Adidas Rouge has been causing quite a stir for a while now, as it is a special shoe for many Adidas collectors, often found in the same sentence as the word ‘grail’, and with the release of the reissue upcoming, you can only begin to imagine.. 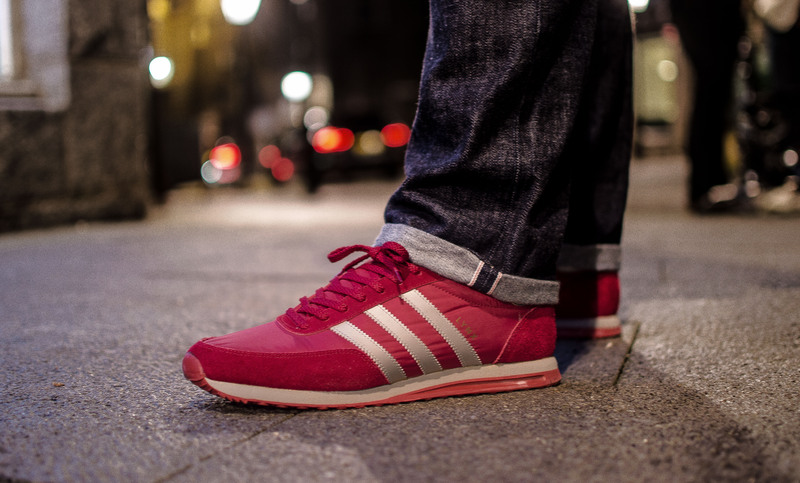 This shoe is set to see it’s first release since way back in 1976 when they were made in Austria, so as you might have gathered, coming across a vintage pair is pretty tough coming, and Adidas fans have been screaming for a reissue for years now. 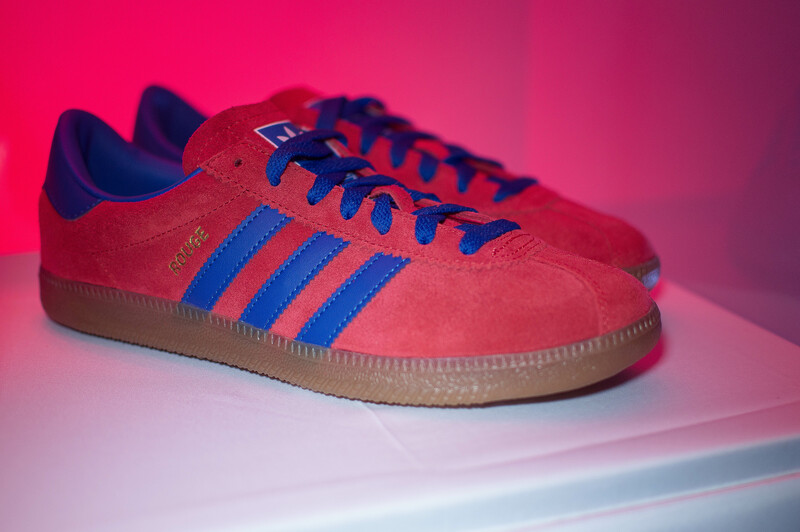 With Adidas having pretty much reissued every other shoe under the sun, it’s a wonder why we’ve had to wait so long for this one. 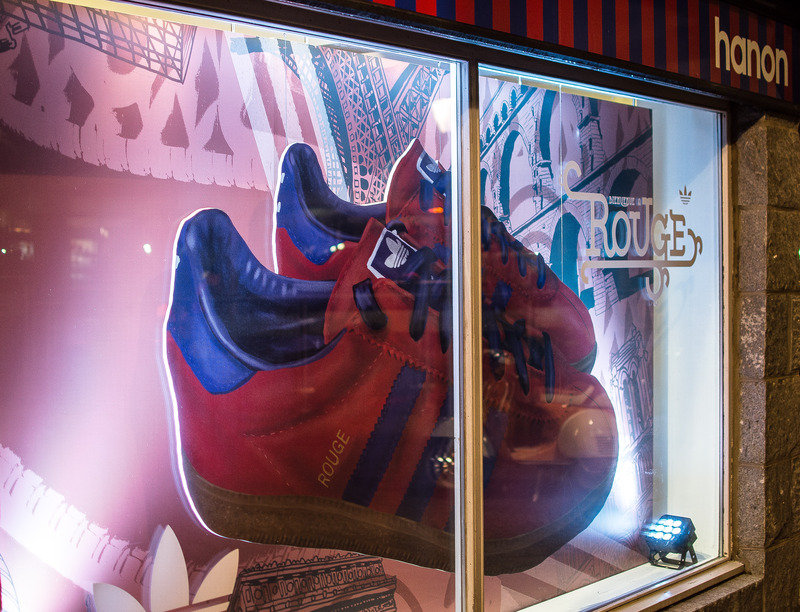 Anyway, Rouge is the French word for ‘Red’, and the shoe itself features a soft red bovine suede upper with contrasting royal blue leather drei-streifen and heel tab. 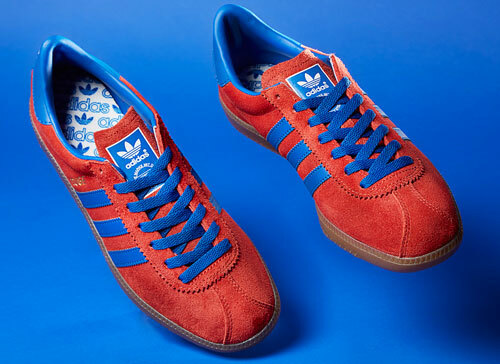 The reissue will also feature a suede tongue, and everyone’s favourite gum sole. 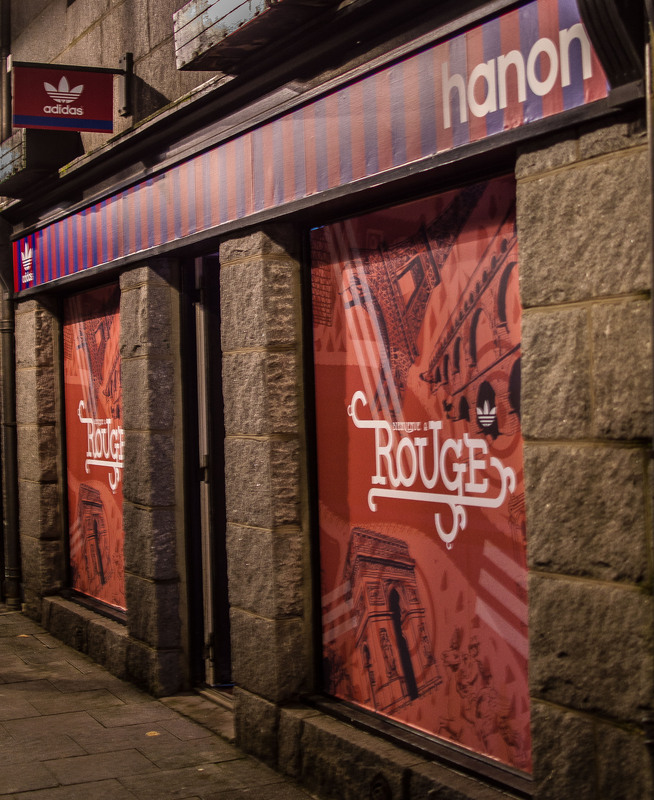 To celebrate the launch of the Rouge, Adidas Originals and hanon shop came together and put on a pop-up shop on Thursday 30th of October. 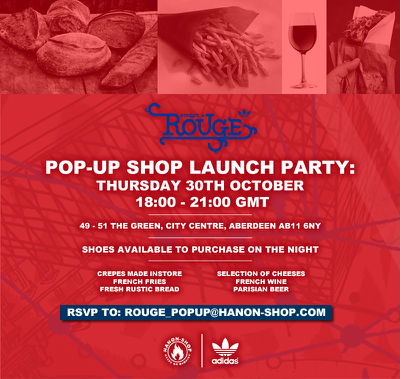 The shoes would be available to purchase on the night, with various types of French food available to eat and plenty of Parisian beer to wash it down. 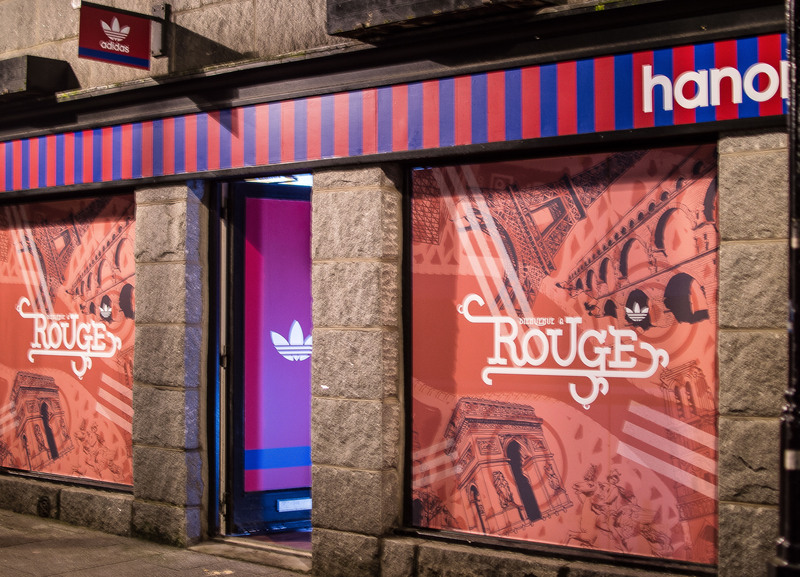 With the event kicking off at 6pm, and a couple of days before the official release, this gave punters the opportunity to grab their pair before everyone else, and a lengthy queue had already formed for opening. 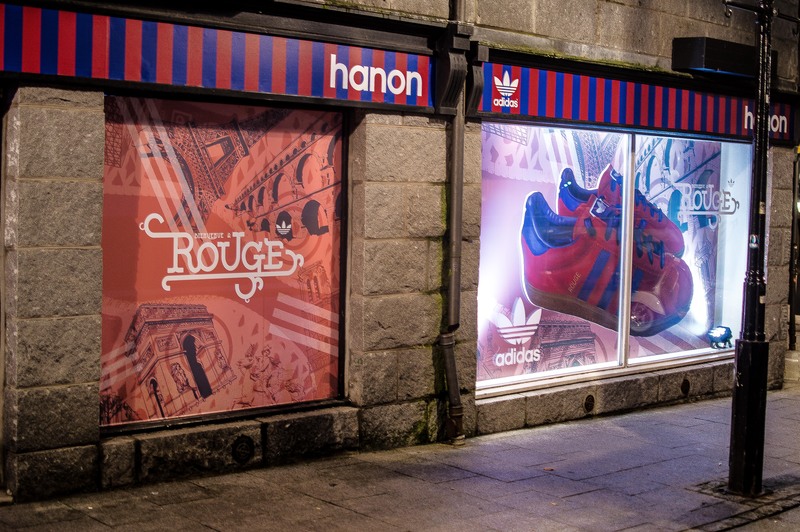 As always with Adidas of late, they’ve been bang on with their graphics, and artwork was done by a man who seems to be making big moves of late, and thoroughly deserved, with his own recent Adidas collaboration, Peter O’Toole (@peterotooleart on Instagram). The clean typography was compiled by Lucas Jubb (@ljjubb on Instagram) and all graphics looked excellent, a really great job by those involved. 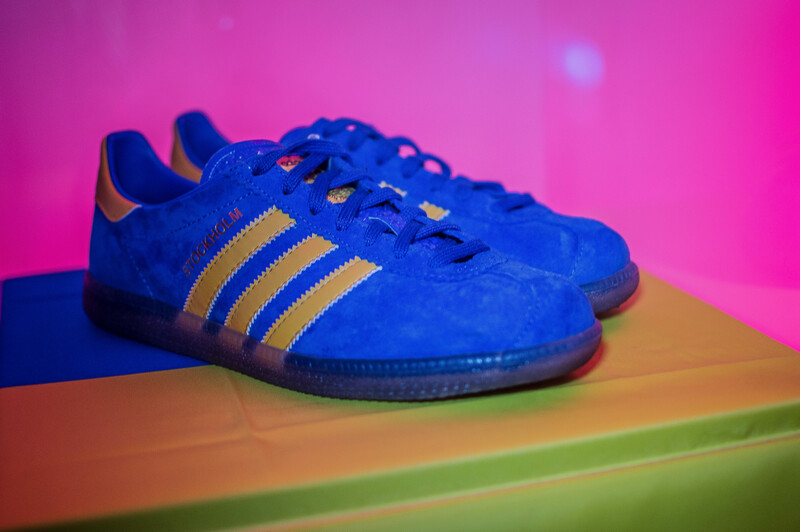 Some Stockholms were also on display along with the Rouge to coincide with their reissue later in the year, but unfortunately, it was my pair of 08 Stockholms on display rather than the reissue which only has some subtle changes, namely the sole unit. 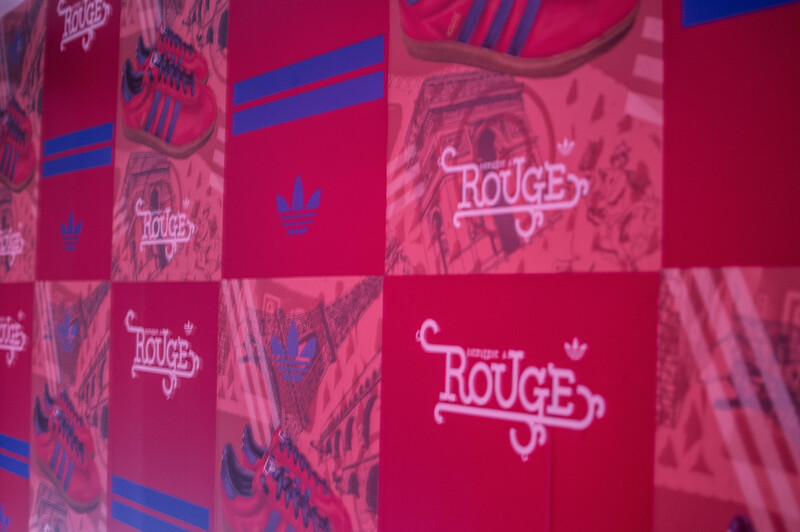 Many people seemed to just come down to pick up a pair of Rouge, but a big shout to all those new and old faces who stayed around, drank some uber strong beer, ate all the food, and talked all things trainers. 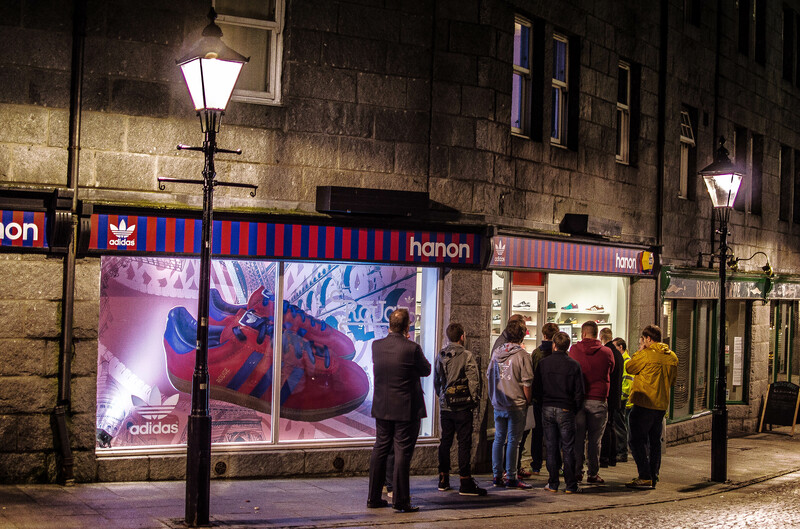 Also, a massive thanks to both Adidas and hanon shop for the hospitality. Until next time!